RUNOUT TRIMMERS, BRUSHCUTTERS & BLOWERS! The RedShed Clearance Centre offers products that priced to sell quickly. They may be runout deals, discontinued products, ex-display, or just products that we bought at a great price and we are selling cheap! 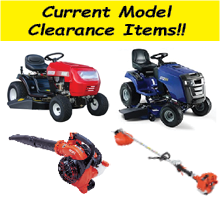 Unless otherwise specified, all clearance items are brand new products, and come with full manufacturer's warranty. They receive our usual pre-delivery service (assembly, fuel and testing), and are ready to go when you pick them up. PLEASE NOTE: THERE IS ALWAYS LIMITED STOCK OF THE CLEARANCE SALE ITEMS! ITEMS ARE BEING STORED AT OUR DANDENONG WAREHOUSE, BUT CAN BE DELIVERED TO ANY REDSHED STORE AND PICKED UP FROM THERE. 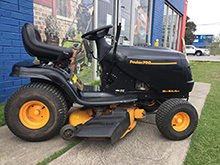 For more information about any clearance sale items, please call us on 03 9794 8339.